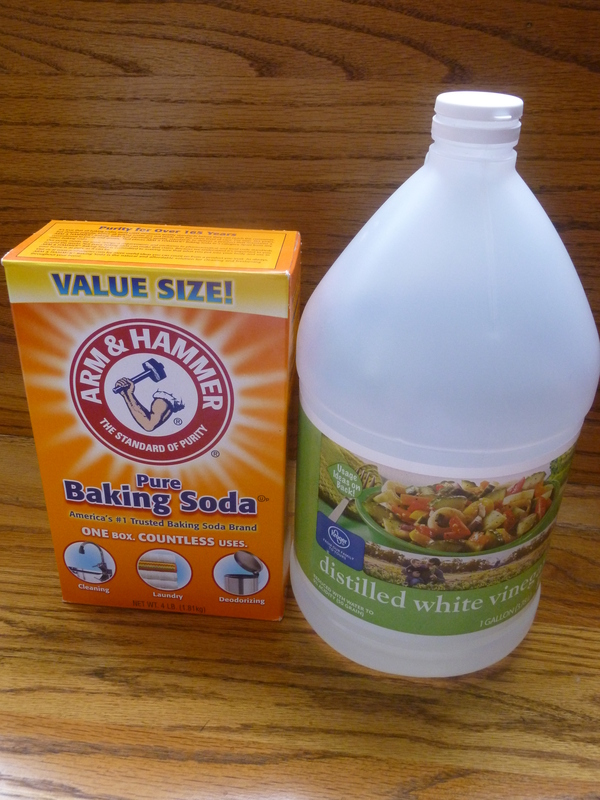 The Green Cleaning Team: Baking Soda & Vinegar! 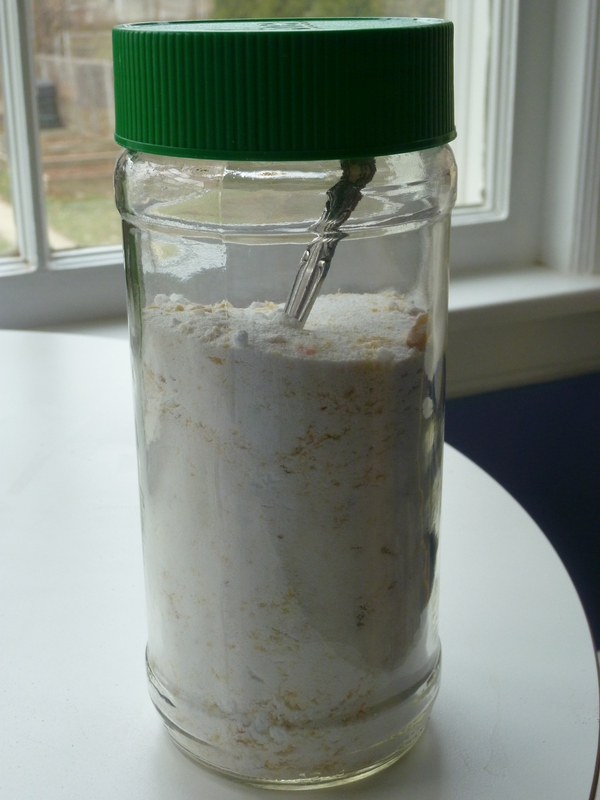 One of the first “greening” projects I took on was household cleaners. All 3 of us have asthma in this household, and I had long-noticed how the conventional cleaners would set mine off like crazy (especially when cleaning smaller rooms, like the bathroom). I also didn’t like the thought that I was cooking and preparing food on countertops using chemicals we could not safely ingest. And… the big capper for me was the thought of my little girl taking her bath in heavily chemical-laced water. Ah, laundry. Probably even more difficult to crack than the dishwasher detergent, personal care products, or food has been the detoxification of our laundry detergent. 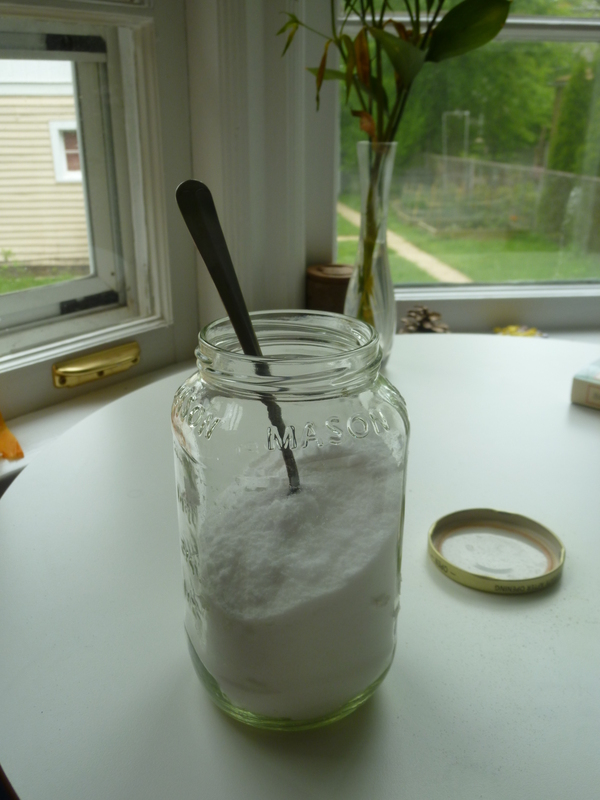 One of the first things we wanted to tackle when we started to de-toxify our home was dishwasher detergent. 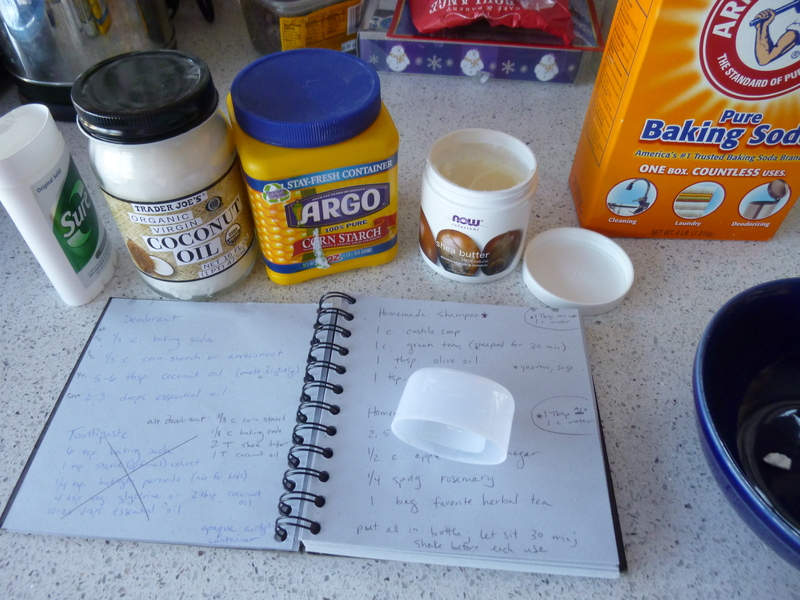 It’s the item we’re most likely to consume, we use it every single day, and the list of ingredients on most brands is filled with things I cannot pronounce. “How hard can it be?” we thought. And therein lies what has probably been the greatest saga in our household toward finding a green, chemical-free solution that works as well as the brands we were trying to replace. In an effort to simplify things this year, we got rid of our cable and instead decided to rely on a combo of local stations and our Netflix streaming account. With this shift came a slew of documentary watching… which led to a string of behavior changes in the last year or so. One among them was our decision to try and minimize the number of products we use (cleaning and otherwise) that contain harmful chemicals by making our own. 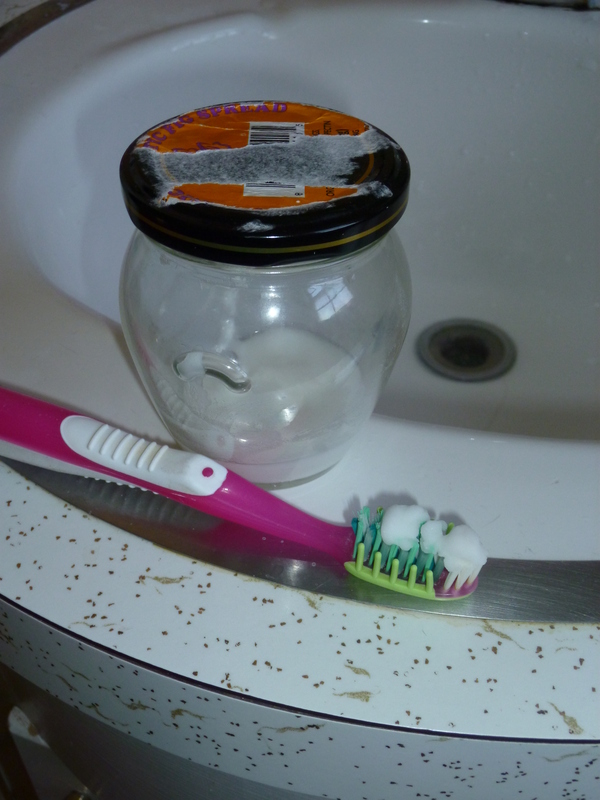 And thus began a journey that has led to all manner of experimentation, including homemade toothpaste, face wash, laundry powder, dishwasher detergent, hand soap, bar soap, etc.